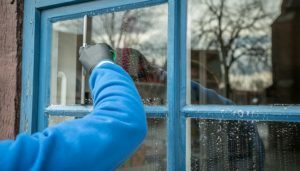 How Often Should My Business Windows Be Cleaned? The windows of your business are just as important as any other part of the building. Dusty, dirty windows are not a good look whether you own a restaurant, healthcare facility, retail store, office building or any other type of building. Professionally cleaned windows will encourage customers to trust your business. All aspects of a clean business should be practiced, including the windows. Window cleaning is an important part of building maintenance. The number of times your business’ windows should be cleaned depends on the type of business you own, among a variety of other factors. Restaurant windows have to be cleaned frequently due to grease, food, and other items spattering on the windows. The restaurant business is busy, and no one has time to constantly clean windows to maintain their appearance. Window Cleaning Miami can clean your restaurant’s windows before or after you close or any other time you would like to help take some of the burdens of running a restaurant off your hands. We recommend cleaning the windows of your restaurant at least once every two weeks. Due to the windows being prone to collecting grease and moisture, the windows may have to be cleaned at least twice or more every two weeks. It is important that restaurant business windows are thoroughly cleaned inside and out. The type of customers you serve help determine your window cleaning schedule. If your restaurant serves families with little children, fingerprints on the window pane are inevitable. Windows that have hundreds of fingerprints on them are not appealing to customers. Restaurant cleanliness is essential for business, especially if you want people to enjoy their dining experience. Healthcare facilities have a reputation for being squeaky clean and spotless. This reputation is not limited to the floors and walls of the facility. The windows are also included. Whether it’s the windows of an office, hospital or clinic, the windows should always be spotless and streak-free. We recommend exam room windows, treatment room windows, and windows on the ground floor of the hospital or clinic are cleaned monthly. Unlike restaurant windows, healthcare facility windows do not require as much maintenance and cleaning, and fingerprints are not a major issue. Healthcare facilities that are well-maintained, including appearance, gives patients peace of mind to know they too will be properly cared for and receive the help they need. Exceptionally clean windows are essential for business sales in a retail store. Customers need to be able to see your products, and the only way that can be achieved is by having clean windows. We recommend retail business windows are cleaned once or twice every month. If your store receives a lot of business, the windows should be cleaned twice every two weeks. Office building windows should be regularly maintained at least twice per year. 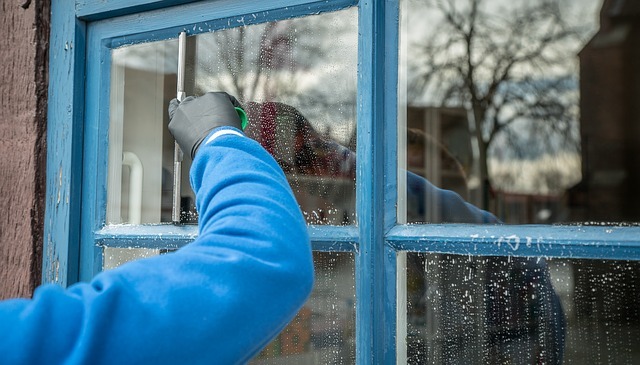 If your business is in a location where unfavorable weather, such as strong winds, rains, and hail are likely, your business windows will need to be cleaned more often, at least three times per year, especially after storms due to debris. Window sills in humid areas, such as Florida, are prone to mildew and mold growth due to an abundance of moisture. Windows under these conditions should be cleaned at least once every two weeks to prevent the growth of algae and bacteria. Window Cleaning Miami is here to help you keep your business windows clean to attract more customers and maintain a positive, professional image. Contact us today to schedule an appointment or inquire about all of our services. Clean windows allow natural sunlight to enter your home and this natural sunlight can be used to heat your home. The truth is, anyone can clean a window, but not everyone cleans a window correctly. A properly cleaned window has no stains or marks, including fingerprints or streaks. 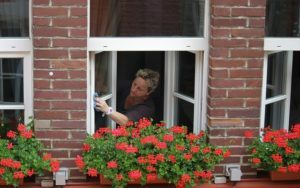 Are you considering cleaning your windows yourself? Here are four mistakes people make when washing their windows, so try to avoid them! 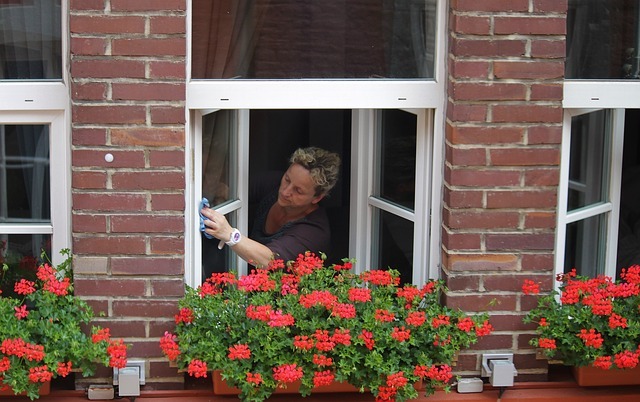 Sunny days are perfect for getting fresh air and enjoying the weather, but not washing windows. Why? The pleasantly warm rays of the sun can make window washing difficult. Streaks on a window are something you want to avoid and cleaning windows on a sunny day, especially windows that are not receiving shade during the daytime hours, makes having streak-free windows almost impossible. At Window Cleaning Miami, we recommend cleaning your windows on a cloudy day. Waiting until the sun sets to clean your windows gives you the streak-free results you desire. There’s no use in trying to clean your windows with a spot or one spray of window cleaning solution. It’s good to be generous! When you don’t use enough cleaning fluid, there is not enough to fully clean a window, and you will lose that professional shine. You should use enough cleaning solution to cover the entire window pane. 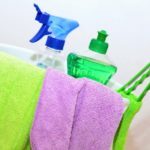 If you think you need more cleaning solution, you probably do. The materials you use to clean your windows make a difference. Your window panes are fragile and using the wrong drying materials can cut, scrape or do other damage to the window pane. To avoid damage and other mishaps with your windows, only use a soft cloth or towel to remove excess cleaning solution from your windows. Years ago, people used newspaper to clean their windows before they knew how harmful the ink from the newspapers is to windows. Always use a soft cloth to remove excess cleaning solution from your windows. Window sponges, mops, and squeegees are great to use on your windows. The problems occur when you use these window cleaning materials incorrectly. Window scrapers should only be used when there are stubborn stains and marks. If you decide to use a window scraper, be gentle and careful so you don’t damage the window panes. Contrary to the popular belief of many people, harsh chemicals are not required to make your windows squeaky clean. A mild dish detergent will work wonders for your windows without causing damage. Are you interested in investing in professional window cleaning services? We understand how time-consuming cleaning windows are. Aside from having the time to clean windows, you need the proper tools, and washing your windows can quickly become a frustrating hassle. Let us do the work for you! We are professional window cleaners who get the job done. Window Cleaning Miami is ready to serve you. Window Cleaning Miami proudly serves the entire Miami-Dade County. Contact us today to receive your free, no-obligation quote.